Agora Language Center is a language center in Playa del Carmen. We are a team of experienced , professional Spanish teachers. We have been teaching Spanish as a foreign language for over 15 years to students of different nationalities, levels, ages and backgrounds. 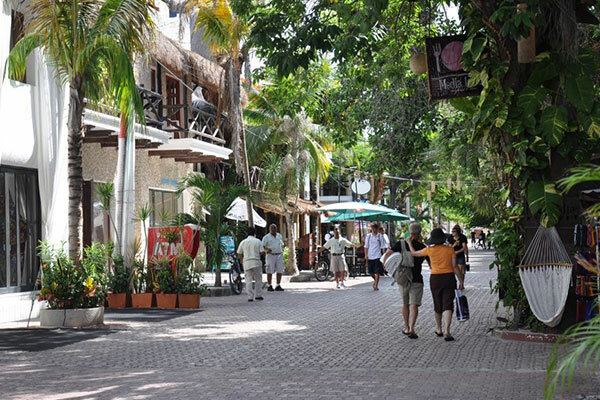 We are conveniently located right in the center of Playa del Carmen, one block from the City Hall and supermarket, 10 minutes from the beach, and minutes away from the most popular stores and restaurants. We teach Spanish as a foreign language, intensive or semi-intensive courses, private or semi-private classes, Learn on the go (while travelling), classes on Skype, and a wide array of cultural and recreational activities. We work in small groups, and provide personalized attention to each student. We use our own study material, which we combine with carefully selected workbooks. The groups are usually very small. Classes include grammar and conversation. We also have hands-on classes, where we practice in real-life situations. Our groups are never bigger than 6 students. We have developed our own study material, which we combine with carefully selected workbooks. Classes are divided into grammar and conversation. We also include some hands-on classes, where we go out and practice in real-life situations. Every weekend, we organize tours to discover all the fun and interesting activities the Riviera Maya has to offer. We take day trips to snorkel with turtles in Akumal or visit Mayan Sites. We also do trips over the weekend to Holbox, Yucatán and many more. Playa del Carmen is located on the Mexican Caribbean Coast, 50 kms south of Cancun International Airport, half way between Cancun and Tulum. Playa del Carmen is a fast growing beach resort, that is perfect for combining all types of experiences in one single place. Fifth Avenue is the main street with stores, restaurants, cafés, boutiques, etc…. From every corner on 5th, you can see the beautiful turquoise blue Caribbean Sea, only one short block away. No car is needed in Playa, you can just walk everywhere. Playa is perfect to study during the day, enjoy the beach in the afternoon, go out at night and explore the area on weekends.